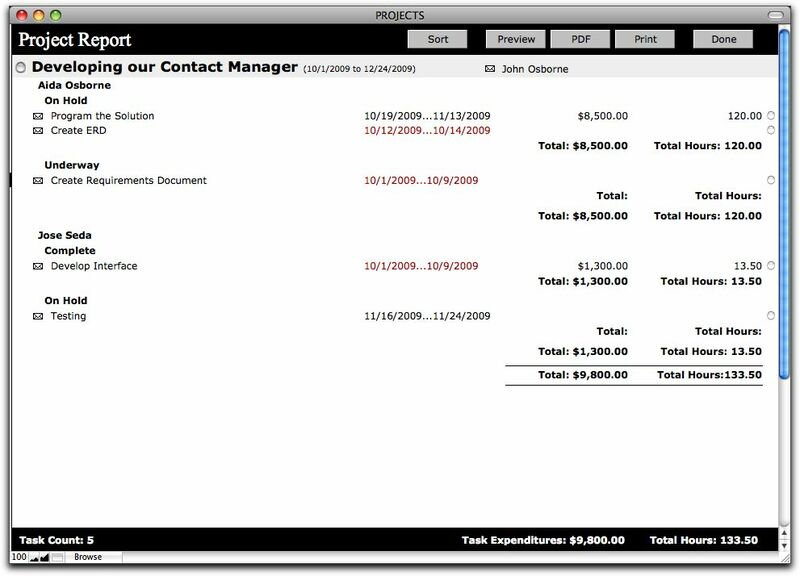 s The Project Management solution helps you manage projects with tasks, sub-tasks, expenditures, hours, documents and more. 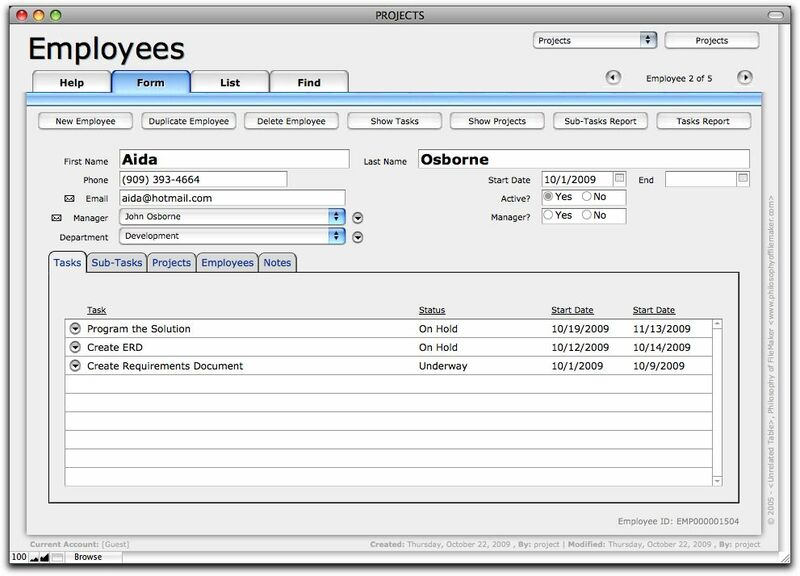 Quickly print reports by project, task, sub-task and employee. 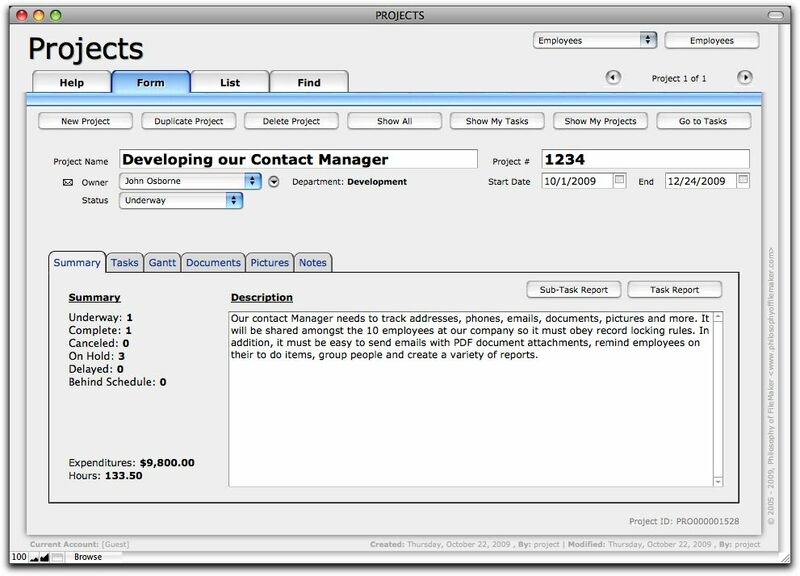 Full Access password provided upon purchase or call to inquire about customization of the Project Management solution. Technical support is not included with purchase. 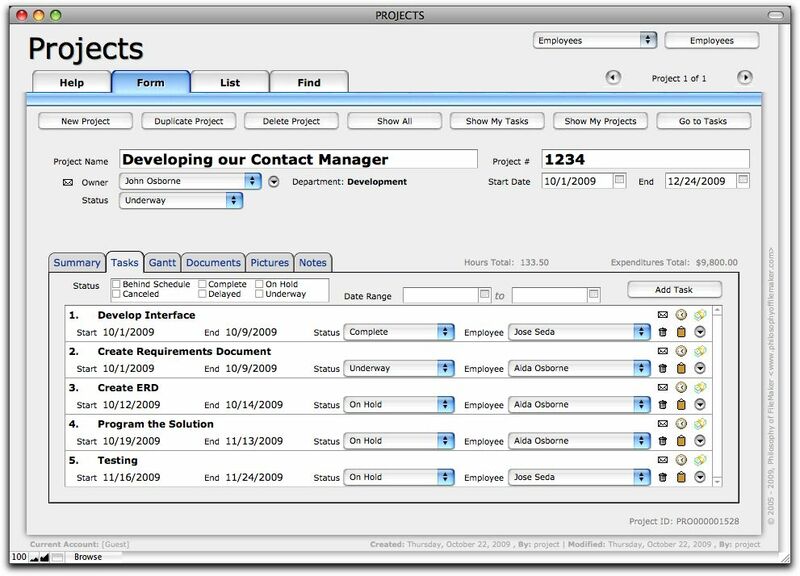 Projects is a complete solution for project management. But, everyone has their own specific requirements so you get the full access password when you purchase Projects. 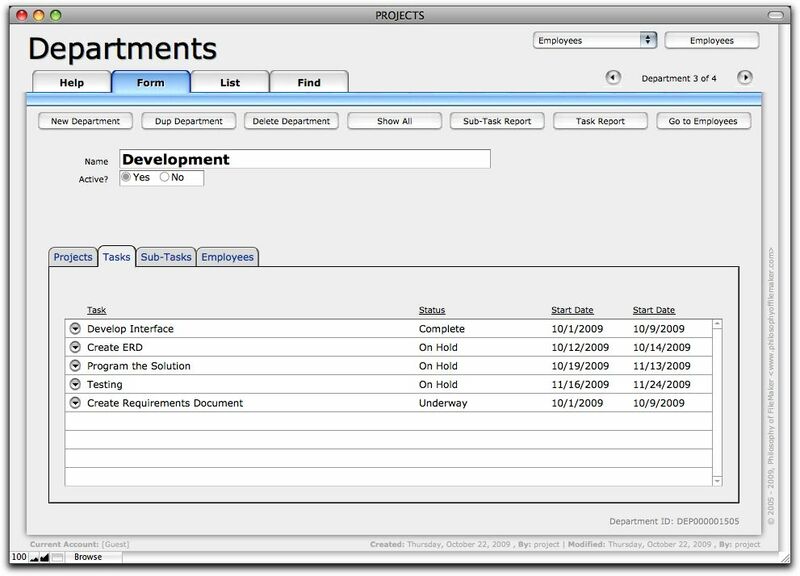 If you aren't familiar with developing in FileMaker, contact [John Mark Osborne] to make modifications to the solution to better meet your needs. Take a look at what you get by clicking one of the images below. 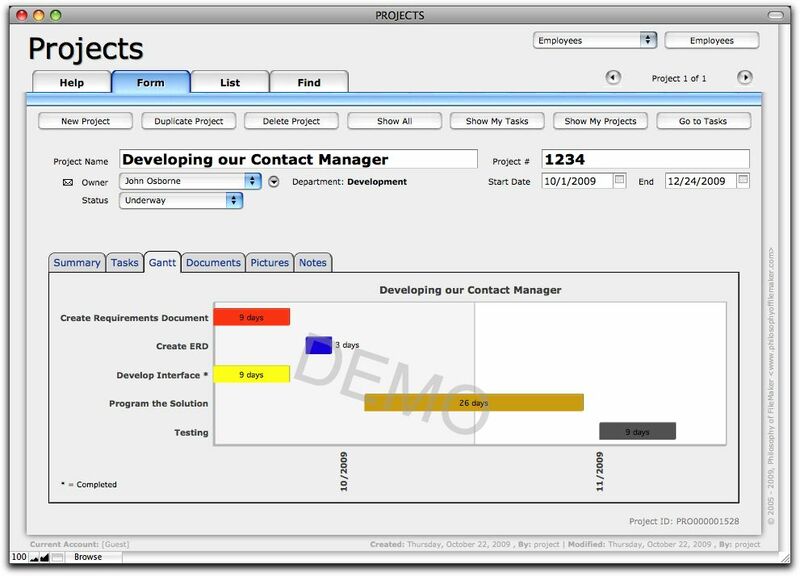 Download a demo of the Project Management now!